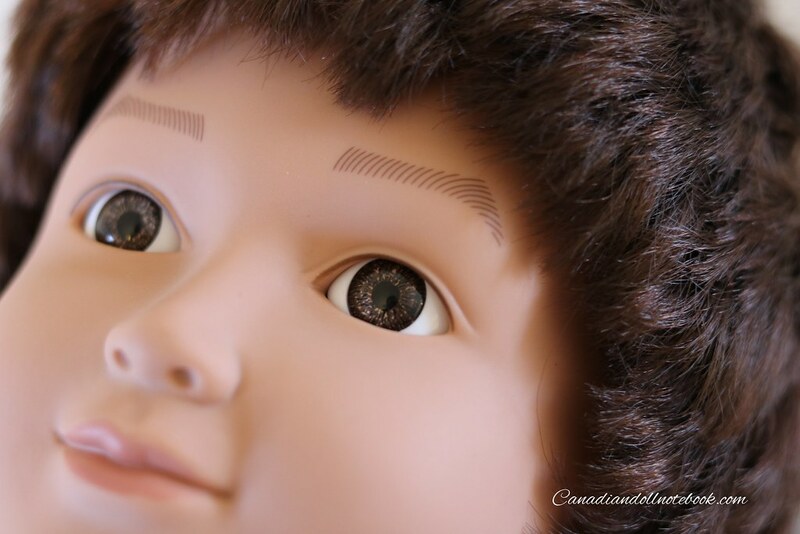 When I went looking for a boy doll for my son, I knew I was looking for a doll that could endure more abuse. I want a doll that I wouldn’t have to worry about getting wet, or taking a dive in the sandbox. 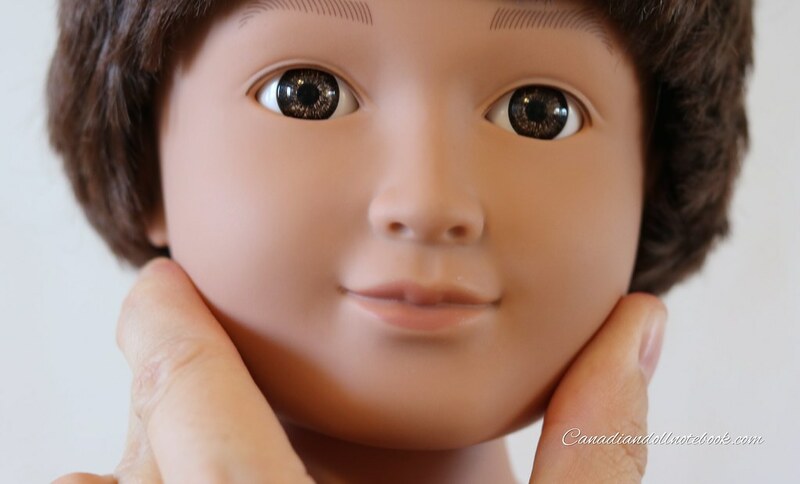 I looked into some of the more expensive boy dolls on the market, but I didn’t want to put out a lot of money for a doll that would end up in these predicaments. So in the summer when Walmart’s My Life As line released their first boy doll, I was in! However, being a Canadian, I was forced to wait until they made their way up north. Finally in the fall, I started to hear about Canadians finding these dolls in their local Walmarts. So I started to look every week at my Walmart, and had friends and family on the lookout as well in their towns. After four months of looking I still had no luck! A couple of weeks ago, Michelle and I headed into the city(Calgary) to run a few errands. This was a very cold day; it was -35, BRRRR! I opted to let Michelle run into Walmart, and grab a few items while I sat in the van, and kept it running. (Yes, I chose the warmer option.) While the boys sat in their carseats and watched “Turbo”, I kept busy catching up with my Facebook friends. Then all of sudden there was a loud BANG on my van window, I jumped and looked up to see this sight! 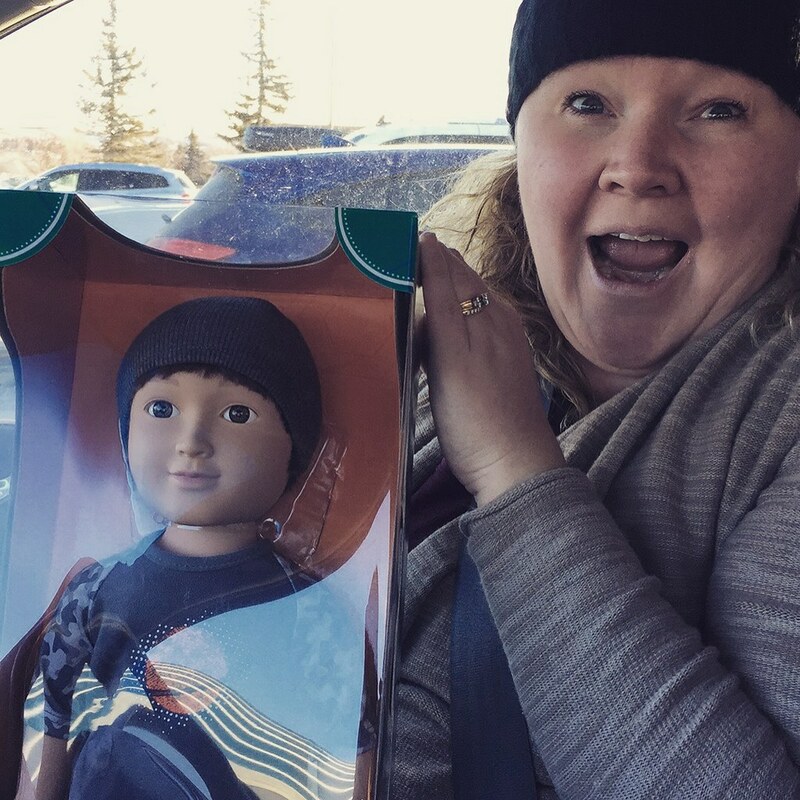 That’s right, Michelle climbed the shelves at Walmart and searched through the dolls until she found this lone boy!!! She knew how desperately I was looking for this doll for Goh-go, so when she had a glimpse of a blue box, she went for it! This is why she is such a great friend!!! 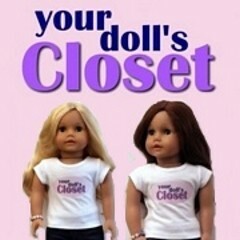 Thanks to Michelle, I have this adorable doll to review today. This our My Life As School Boy doll, cozy in his little box. 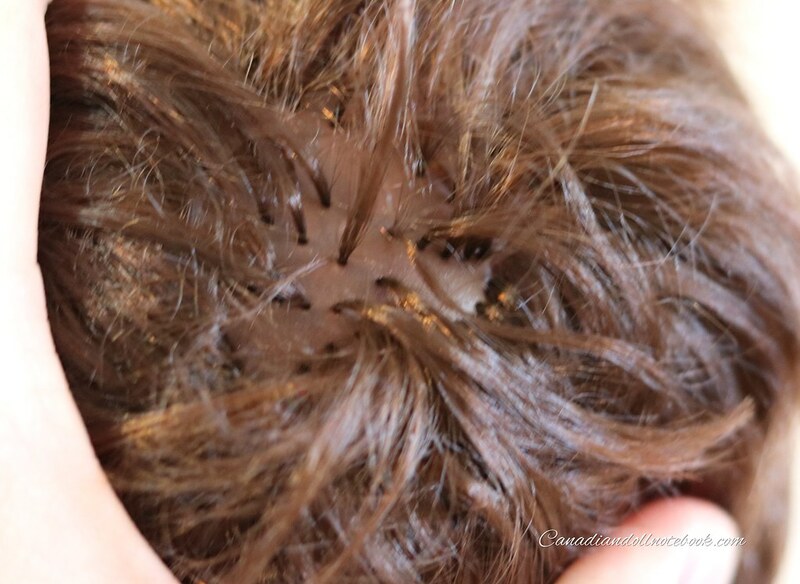 This is the stamp that you will find on the back of his neck. There is a similar stamp on his lower back. Like the other My Life As dolls, he was manufactured in China. Here he is in the cute little boy outfit. Although Goh-go loves the clothes he came in, our only complaint is that the jeans are a bit restrictive. Goh-go needed my help to rotate his legs to make him sit. 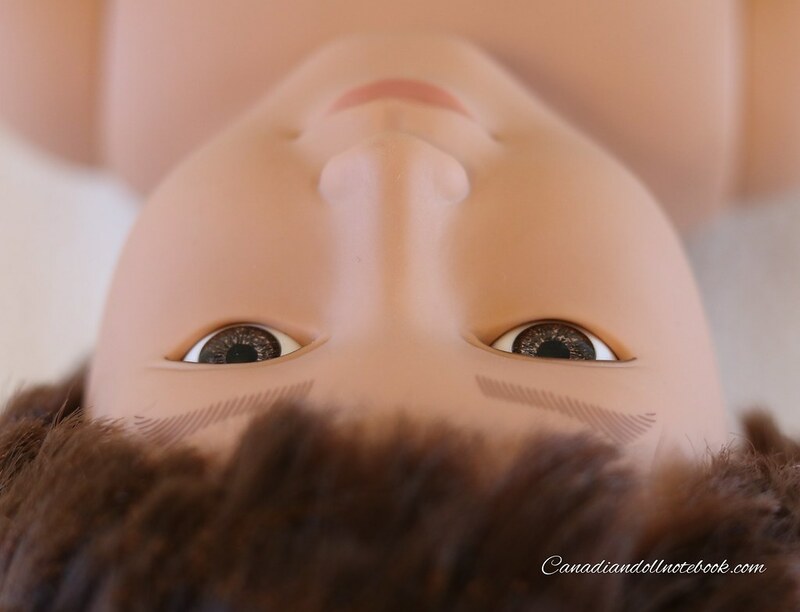 Although he is a My Life As doll, you will notice quite a few differences from the My Life As doll that I reviewed last year. He has a full vinyl body, where the girl My Life As doll has a half vinyl, half fabric torso. Here is a view of him from behind. His little bum crack kills me, so cute! Here is a view from the side. He is quite slim, much slimmer than the My Life As, girl dolls. His vinyl face is quite firm, and I was unable to depress his cheeks. In contrast, his torso is quite soft, as well as his arms and legs. He reminds me of the American Girl mini dolls‘ bodies. Since he has a vinyl body, his neck joint is different from other stuffed body dolls. 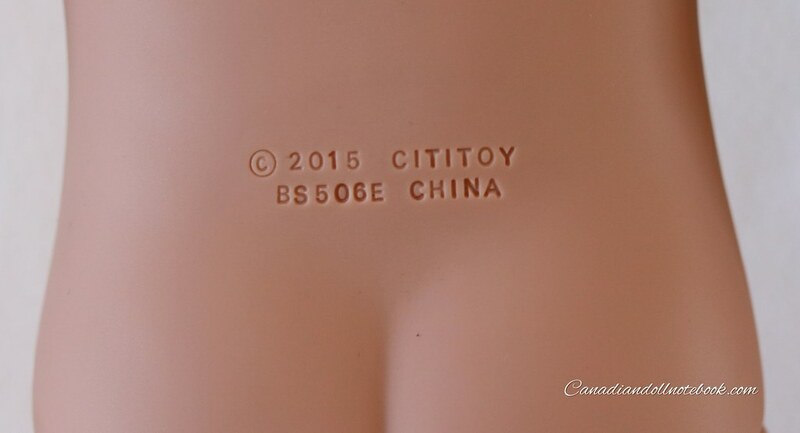 Unlike other dolls with vinyl neck joints, there is no articulation beyond a basic rotation. Sadly, you are unable to tilt his head for more poses during play, it simply turns side to side. Here is a closeup of his face. I noticed online that there are conflicting conclusions on his race. I have seen him listed as both a Caucasian, and an Asian doll. 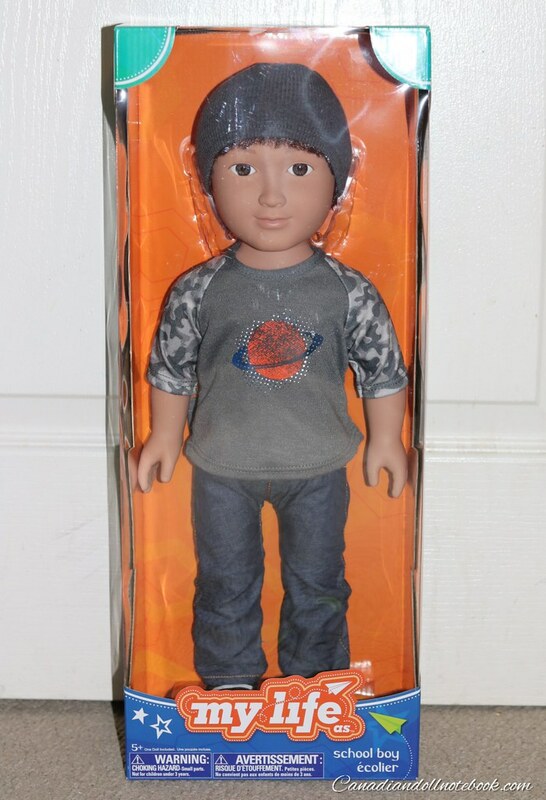 After seeing how much this doll looks like my boys, Goh-go and Diah-dia who are half Chinese, I have determined that he meant to be both Asian and Caucasian. So that you can compare my boys to the My Life As School Boy, here is a photo of Goh-go with Diah-dia, his younger brother. What do you think about this My Life As boy’s ethnicity? Different from the other My Life As dolls, this boy’s eyes do not close. There is no need to worry about the eyes getting wet, or getting dirty and no longer working. I like that they gave him thicker more “manly” eyebrows. As you can see, they didn’t give him any eyelashes. Another great call, this lack of eyelashes makes him lower maintenance once again. He has rooted hair, like girl My Life As dolls. I like that they took the time to paint his scalp to match the hair, this makes any gaps in the hair not as noticeable. He has cute dimples on his knuckles, the same as the My Life As girl dolls. He also has the same feet as the girl dolls. I love the added detail of the toes on the bottom of the foot. 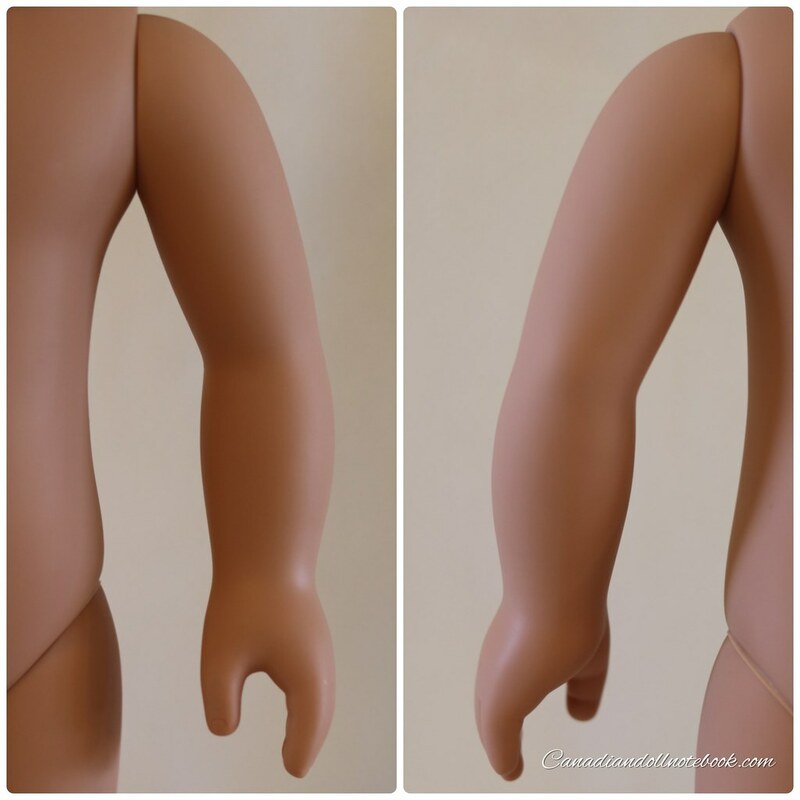 His arms have the detail of the elbows in the front, and in the back. His knees have the same dimples as the My Life As girl dolls, and same crease in the back. His arms and leg joints are the same. They rotate only in place and can’t be pulled out to the side at all. My concern is how these joints will hold up with much play. If I have any problems with these joints I will be sure to let you know. In summary, this doll seems to be the perfect little boy. He isn’t high maintenance, can get really dirty but cleans up well. He has a hard head that can withstand a few falls but is very easy to get along with. Currently, this doll retails for $34.93 at Walmart; if, you are lucky enough to find one. If you are like Michelle and have to climb shelves and search through the dolls, I can assure you it is well worth the effort. Thank you Walmart for filling the boy doll void in this house, and being wise enough to create a boy that is suited to endure some rough playtime! * As always on our site prices are listed in Canadian dollars (CAD) unless otherwise stated. 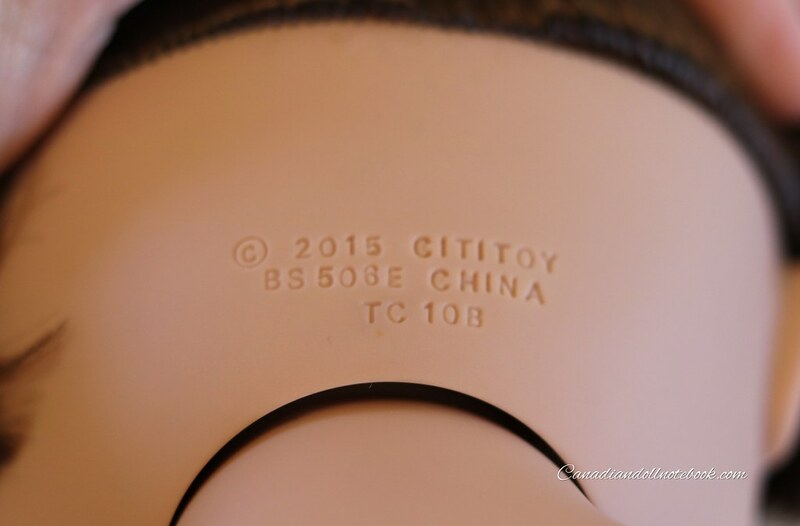 Tags: 18'' Dolls, Boy Doll, My Life As. Bookmark the permalink. If you looked at my more recent doll post, you’ll see I recieved one for my collection recently! He totally does! I’ve decided to name him Leo- and I totally instantly thought he was of Asian descent when I saw him in the store. Hooray! I’m so glad you found him! 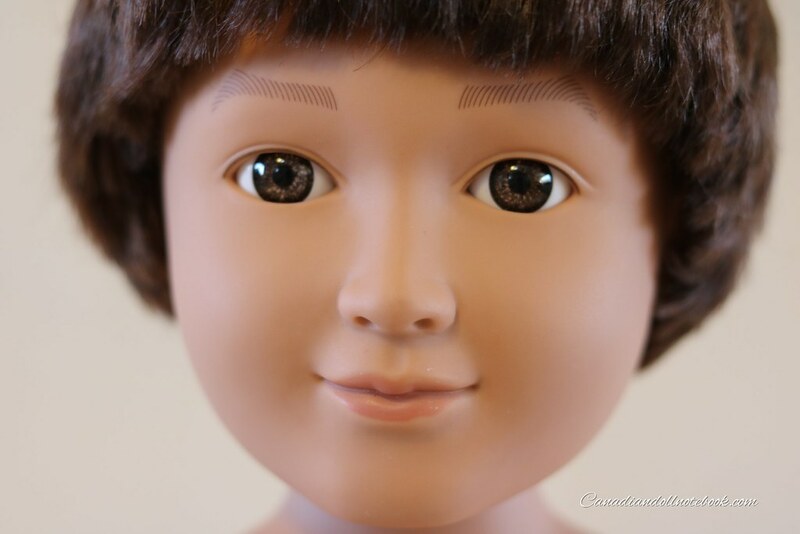 We have been debating getting a boy doll lately too. I don’t know if we will climb shelves for one though. LOL! That’s so awesome of Michelle! Also, your little guys are ADORABLE! Thanks, Ginnie! It is so nice for Him to finally have a doll of his own. That is awesome! I am so glad that more companies are making boy dolls. We made a boy doll for my son. He has outgrown him now, but he really played with him for awhile. I made him one from a Springfield doll, but he never really liked him as he saw the transition from girl to boy. This doll had him excited right from the start! 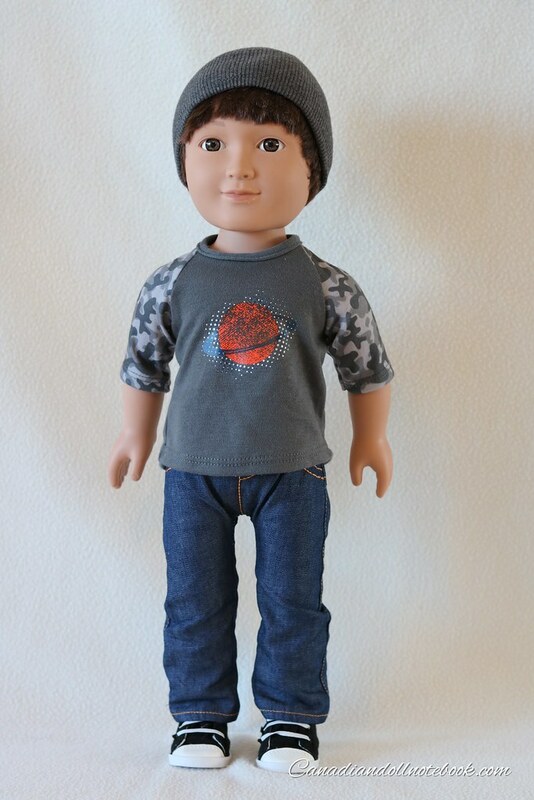 It looks like American Girl is getting ready to release a boy named Logan this year. I am hoping other companies follow the lead on this, there is certainly a demand. I have one and am pretty impressed for the price point. I am so sorry Candace, some how your comment found it’s way into our spam folder, so please accept my apologies for not responding sooner. I saw your son and daughter’s review of the jacket and the doll on YouTube, I am so happy that they like them both!